It can climb up to 40, I was told in what sounded like a cross between a boast and a warning, but the temperature was really the least of my worries. I had planned to travel to Oman like a visiting pasha, an updated version of course, because my host was luxury travel operator Scott Dunn, and I was relying on their expertise to nudge me along to the nearest Bedouin tent for spiced tea and sticky dates or perhaps a beach bar for some G&T and samba at sundown. So, there were hats and shoes and scarves and jackets to mind, and a very real danger of exceeding the luggage allocation. Why we were flying coach on a two-leg journey is a mystery I still grapple with—baptism of fire perhaps? Our first stop after a four-hour flight from Singapore was Colombo, and after a short layover we were off for another four-hour flight to Muscat, population 800,000, the largest city and present capital of Oman. We landed around midnight at Muscat International Airport, the US$1.8 billion centerpiece of the government’s bid for international luxury tourism. Launched in March this year, the new terminal has a passenger capacity of 12 million, a staggering increase from the 2017 figure of just 1.2 million passengers. The airport is designed for 40 flights per hour and is perfectly aligned with the forecast 40 per cent increase in the number of visitors to Oman by 2019. Muscat, the most densely populated city in Oman, seemed empty when we arrived, and it was probably not just because it was very late. With a total land area of 309,501 square kilometers and a population of 4.83 million, Oman is among the least densely populated countries in the world – with just nine people per square kilometer. In my mind, the prospect of blissful solitude, perhaps in an oasis, with a Hunter S. Thompson travelogue and a Spotify playlist for company, was becoming a palpable reality by the minute. If you can find a valid reason to leave your suite at The Chedi Muscat (www.ghmhotels.com/en/muscat/) – where earnest pampering begins but does not end with a king-size bed, a sunken bath that can fit four, and carafes for gin, vodka and whiskey – perhaps you should consider a trip to the Sultan Qaboos Grand Mosque. A signifier of the Sultan’s wealth, and of Islam’s overarching influence, it is a magnificently designed and decorated example of Islamic architecture. Technology has doubtless played a part in its construction – it was launched only in 2001 – but so have ancient architecture and engineering. The Grand Mosque is distinguished by five minarets, a 50-meter dome, and an array of courtyards flanked by arcades. It has a main prayer hall and a ladies’ prayer hall, a library with 20,000 books, and an elaborate garden. We marveled at the lavish adornments, including the enormous crystal chandeliers, intricate mosaics with gold calligraphy, decorated marble and stone claddings, carved Burmese teakwood, and what used to be, until recently, the largest seamless carpet in the world. But if you prefer a more secular landmark, head out to the Royal Opera House Muscat, launched in 2011, a massive marble edifice in an interesting blend of Islamic fortress and latent Art Deco styles. The main theater is decorated with ornate carvings, the seats upholstered in deep red velvet. A mechanized stage with retractable apron and proscenium walls accommodates various types of performances. Musical instruments from the Sultan’s collection are displayed in niches on the walls of the gallery. Although costumes for a production of Turandot were prominently displayed in glass cases in the lobby, a cursory glance at the performance calendar revealed a mix of classical and pop acts, including a recital by tenor Roberto Alagna, and a concert by jazz singer Dianne Reeves. Audiences from Europe and Asia are said to travel to Muscat for performances they may have missed back home. Other important stops for insights into Omani history and culture are the old souk of Mutrah, the renovated fish market with colorful maritime-themed mosaics, the Al Jalali ancient fort, and the National Museum – in no particular order. Variety holds the key to Oman’s constant allure, and when we felt the heat rising, we escaped to mountains in the north where temperatures were more agreeable. Oman has seaside and mountaintop attractions, as well as hideaways in arid sand dunes and moist valleys. 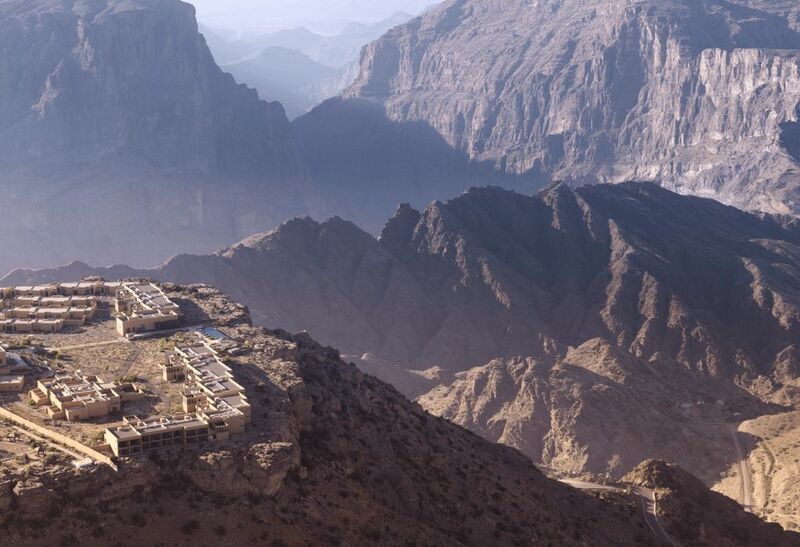 The recent completion of highways that ascend the mountains of Nizwa has made the mountain retreats accessible. En route to Nizwa in the northeast, we stopped by Amouage Perfumery where traditional and modern techniques are employed to coax exotic scents out of natural ingredients. We also inspected the ruins of the ancient village of Birkat Al Mawz that once flourished at the mouth of Wadi Al Muaydin. 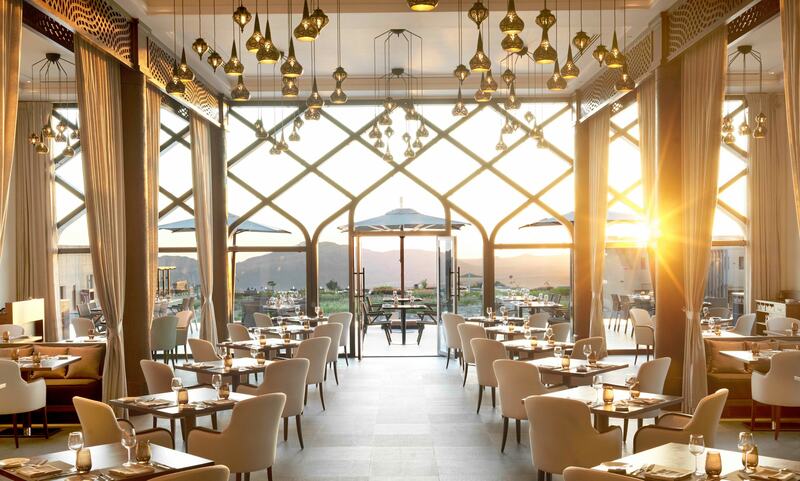 But our real destination was the fortress-like Anantara Al Jabal Al Akhdar, some 2,000 meters above sea level, overlooking rugged mountains whose face has been worked into green terraces by the locals. The hotel has a swimming pool and a yoga platform, as well as trails that meandered around the compound, and if those were not enough for the mostly young and fit guests, there was the inexplicably popular guided mountain climbing – a literal cliff-hanger that ended with a zipline ride. Hopefully. Although I managed to escape all of the above, I was lured into a ‘leisurely trek’ down the ravine the following day, which immediately turned out to be a rough hike up and down the rugged slopes, through mud-hut villages, along the falaj – an ancient irrigation system that fed the orchards, and up again to the other side of the cliff. The most memorable part of the hike was a chance encounter with an old man who was working fire stoves in a sooty, rickety hut extracting rosewater from the late April blooms. The entire block was perfumed by his produce, and I couldn’t imagine a better advertising for his trade. A spa massage after a hearty lunch at one of Anantara’s restaurants (www.anantara.com/en/jabal-akhdar) repaired whatever was damaged during the arduous hike. We woke up at dawn the following day and drove straight to the Nizwa cattle market where we found an auction already in progress. As buyers sat on a platform in the middle of a roofed square, goatherds paraded their stock. Monies changed hands and gnarly animals went home with their new owners. The auction square sat next to a souk where silver jawbreaker bracelets, decorated daggers, frankincense burners, and local produce were popular, and next to it was the 17th-century Round Tower Fort, now a museum. After a light refreshment of honey-soaked nuts and iced coffees, we departed for the dunes of Wahiba, stopping briefly at a Bedouin camp. Although nomadic, the Bedouins pitch tents that are havens of hospitality and desert style. We sat on carpets laid out on the sand as we admired an extensive collection of brass trays, camel skulls, fabrics and glass cabinets groaning under the weight of crockery—a bit de trop, yes, but then again, these were the people who wear oudh and flowing dishdashas, fringed paisley scarves, and hand-embroidered caps when the temperature is hitting 40° in the shade. Our final destination was the Desert Nights Camp (www.omanhotels.com/desertnightscamp), a huddle of climate-controlled, Wi-Fi enabled tents in the middle of the sand dunes. It supplies whatever the guests may require, from local cuisines to warm shower, and leaves the rest to Nature – its primary attraction. Here, breakneck-speed ascent to the top of the dunes, followed by sudden 15-meter drops kept everyone in high spirits. It was a singular thrill. Cocktails and dinner, with entertainment provided by local musicians on ethnic instruments, ended the night. But just as we thought it was going to be eerily quiet in the middle of the desert, party music from the next camp ripped through the air. When it eventually died down before midnight, a flurry of beeps announcing text messages followed. DJ Avicii has died. In his hotel room. In Muscat. Travel is, sadly, no longer the same. With a handful of apps that can prepare a traveler for whatever surprise may cross his path – from where to dine on a familiar yet exotic fare to what to do in cases of emergency or boredom – we have been robbed of the original pleasures of travel: getting lost and rescued, processing surprise and self-realization, and having our mind blown while our bodies remained intact. It’s like being told exactly when the aurora borealis would materialize—where is the pleasure of uncertainty in that? 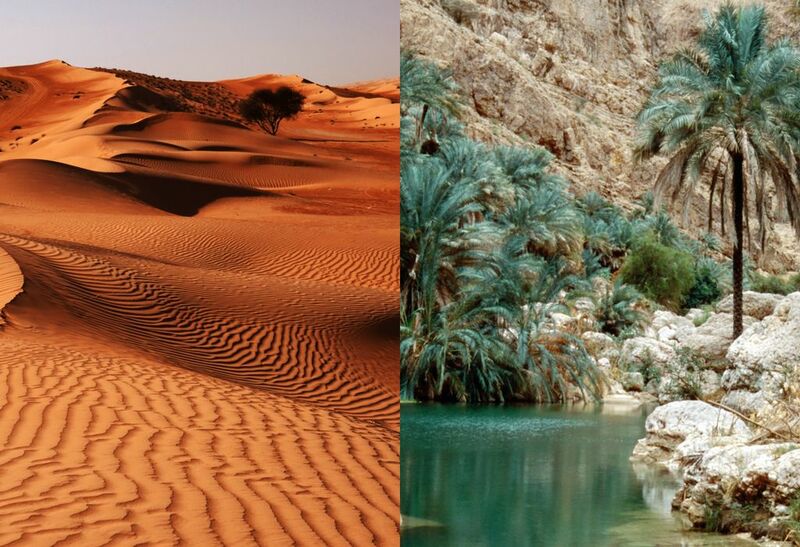 As travel turns into another blood sport of collecting Instagram hearts and droppable names, Oman offers an alternative. Although handhelds have given us weather forecasts, currency converters, simple translations, and Google maps, they have taken away our ability to navigate strange cities on instinct alone, to converse with natives in their tongue through hilarious trial and error, and to use the word ‘serendipity’ meaningfully. Give and take. As we crossed Oman, we received real-time news of a racial profiling incident at a Starbucks in Philadelphia some 11,507 kilometers away and learned that Sean Hannity was actually Michael Cohen’s secret client. But all this earthshaking news turned into minutiae as we watched tiny fishes grazing on our tired feet dipped in the icy waters of Wadi Bani Khalid. 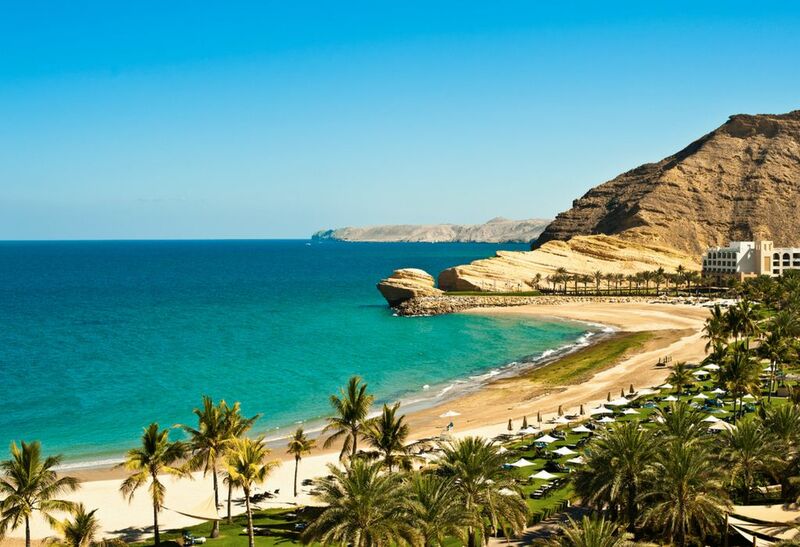 Oman is focused on clearing the path for luxury tourism. It does not want to become the second Dubai, the Kardashian of the Arab world, whose charms are mostly manufactured and recent. Instead, it emphasizes attractions that are unique and authentic. It does not even attempt newfangled luxury – for anyone who has camped out in the dunes with the Bedouins, with silk wool carpets underfoot and the scent of frankincense in the air, has already been initiated into high, exotic luxury. But this is not stopping luxury hotel developers and operators from entering a market widely seen as brimming with possibilities. Luxury travel operator Scott Dunn (www.scottdunn.com) offers bespoke Oman itineraries covering flights, accommodation, sightseeing, and transfers, in partnership with local tour guides Zahara Tours (www.zaharatours.com). The Chedi Muscat (www.ghmhotels.com) has 38 ultra-luxurious Chedi Suites scattered around its lush seaside compound. Other accommodations include 158 entry-level Serai Rooms, and 52 deluxe rooms in the Chedi Wing. 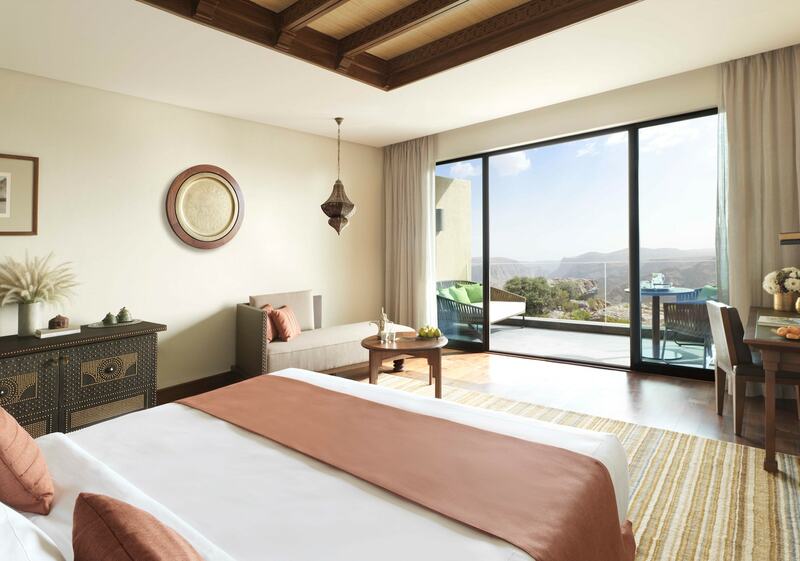 Meanwhile, Shangri-La Barr Al Jissah Resort and Spa - Al Husn, a three-hotel resort, provides 180 rooms and suites, and Ritz-Carlton’s Al Bustan Palace hotel another 250. The latest player to join the luxury accommodations circle is Kempinski Hotel Muscat (www.kempinski.com) with 310 guest rooms, including 40 suites and two presidential suites. Next to the hotel is the Kempinski Residences with 77 serviced apartments, a PGA-standard 18-hole golf course, and the 400-berth Al Mouj Marina. Mandarin Hotel Group has announced it will run a new resort in Muscat with 150 guestrooms and suites, and a residential tower with 155 apartments. The property will be launched in 2021. 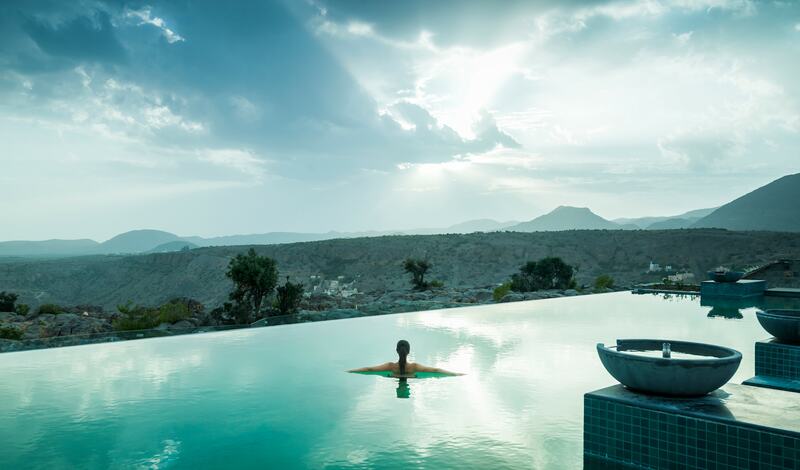 In Nizwa, Anantara Al Jabal Al Akhdar Resort (www.anatara.com) offers guided sports activities, spa treatments and yoga classes, and an array of leisure facilities and F&B outlets. It has 82 canyon view guestrooms and 33 garden pool villas. For more information on Scott Dunn, please visit www.scottdunn.com , or speak to a Scott Dunn travel expert on: +65 3158 6530. 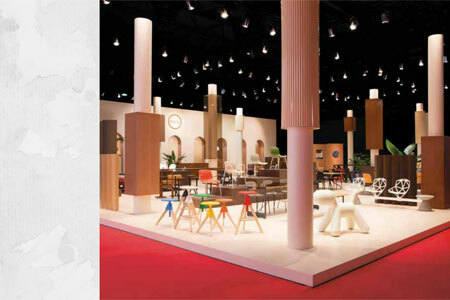 Can Taiwan Design Catalyze Cultural Identity?